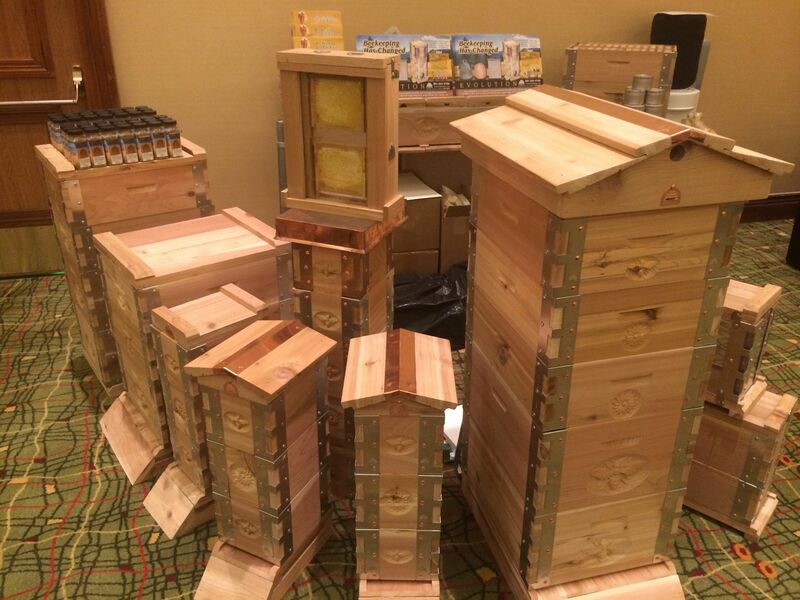 Most beekeepers in the Northern United States prefer using the Langstroth Hive. But it is not only those in the US but in other countries across the globe. This type of hive has a homogeneous design and uncomplicated construction. So first timers often go for this type, to begin with. Even though it is so widely used across the pond, in Britain, there is an opposite reality. Because there are also another five kinds of beekeeping hives. The Langstroth Hive has a variety of boxes, which are accessed from the crown of the hive and underneath as well. Inside, you will find the frames atop one another. The brood chamber or nest is inside the deep boxes and in the outer compartments, you will find the honey. It comes with a floor at the bottom, and the roof, which is weatherproofed, is at the top. The bees often do the fastening of this hive box. The beekeeper typically doesn’t glue the floor, roof or the boxes. They use their saliva and beeswax to create a bee glue or propolis as it is sometimes called. And so it is in this way that they fasten all the Langstroth hive parts and movable frames together. The Langstroth hive plans are a commonly used beehive design. Beekeepers that do pollination business would have to secure the hive boxes if they want to transport them or move them elsewhere. Especially those beekeepers that use the Langstroth hive kits and want to access better grounds to enhance honey production. 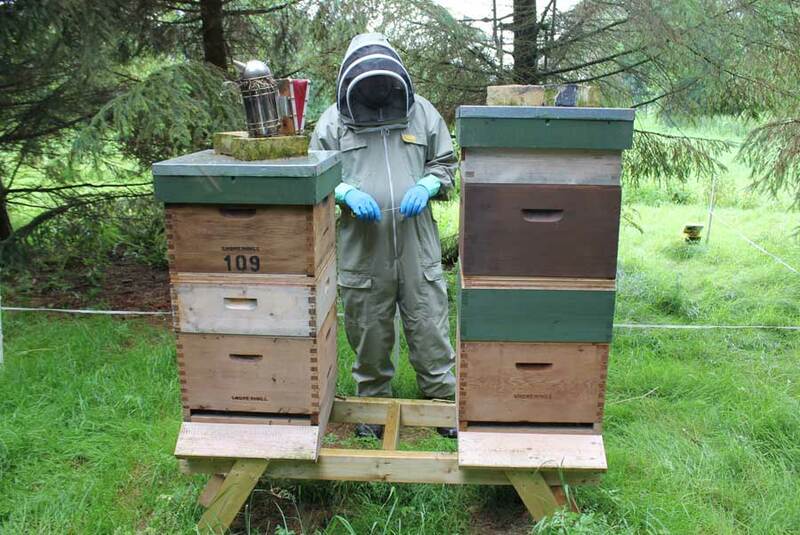 It is more common to see novice beekeepers using straps rather than staples to move the hives. The latter is usually a common method among commercial beekeepers. The straps are similar to those used to secure luggage, a ratchet kind. Focused attention is necessary when securing the hives because it is not a great experience to have your beehive come to undo during transportation. You lose time. You lose income and you lose your honey producers. But worse, can you imagine them coming undone if they are with you in a wagon or such type vehicle where the bees can attack you? A number of commercial bee farmers employ a queen excluder sandwiched between the brood boxes and the honey supers. If you don’t want the queen laying eggs in the supers, then make use of a queen excluder. It is an easier way to harvest the honey. You won’t have to worry about eggs being in the honey harvest that you collect from the supers. You want your brood population kept secure and grow to maturity. As it relates to the Langstroth hive parts, the frames have a beeswax foundation so that the bees are more likely to construct their own honeycombs inside the frames. This makes it easier to remove the honeycomb later. It is illegal in some states to have a beehive without frames. So that is why it is customary to see the Langstroth Hive boxes because they are built with frames that can be easily removed. 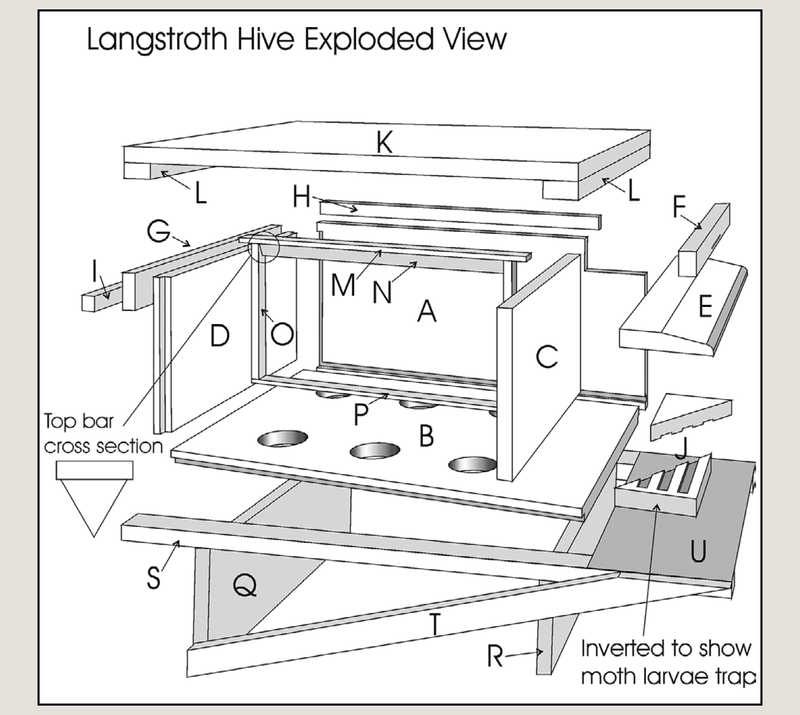 And Langstroth observation hive makes it easier to be examined by a State inspector. They need to check the health of the bees and rule out any evidence of disease. Inside the frames, you will find beeswax because then the bees will have a material that has an adhesive component that will support their honeycombs. And it is the best choice for the job because it is a natural byproduct that they are familiar with. The base makes up the mid-portion of the honeycombs and there are cells constructed on both sides. It typically has a wire. And, occasionally, it has extended crossways on the frame. This is done to support the beeswax. As soon as honey is taken from the honey supers, then the frames are detached. As well as the cappings are cautiously severed from the exterior of the honeycombs. The centripetal force causes the honey to be hurled out. This goes onto the centrifuge sides and pools at the base. What is collected, is gathered and taken away in buckets. All across the American landscape, you can see the familiar Langstroth Hives. Usually, there are scores of white hive boxes placed on pallets in the middle of farms. Bee farming is a major business because those that specialize in pollination are useful to crop farmers that require their services. Some of those huge trucks you see driving about on highways are carrying millions of bees ready to be let loose on some lucky farmer’s food crops. It is costly but worth it. And even the stingiest of farmer sees the benefits of paying beekeepers to access this secure way of multiplying their crop yields. There are even agents who work to connect the crop farmers to the bee farmers. And then they get there just in time, to gather the pollen and nectar and in turn pollinate the crops. Once it is certain that his is done, off they go to do the same for another lucky farmer.